The Australian Cattle Dog (or Blue Heeler) is a tough, high energy breed. These dogs are usually independent, but they do need training. Similar to many herding breeds, they are very intelligent dogs. These dogs love working and the challenges that a job brings. With their high output and comes the need for the best dog food for Australian Cattle Dogs that you can afford. You want your dog to live each day as healthfully as he or she can. 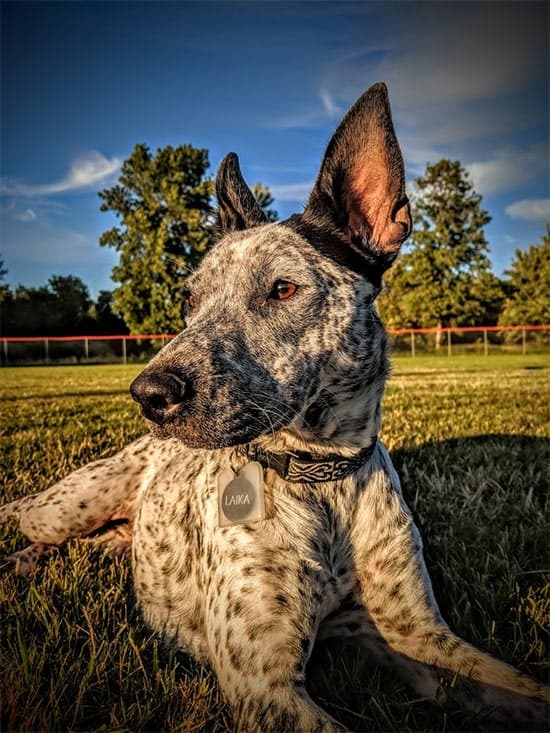 Throughout this article, were going to review a few of best products for puppy, adult, and senior Australian Cattle Dogs. There will also be information regarding what, how, and how much to feed your animal. The Australian Cattle Dog was developed through attempts to breed useful herding dogs for use in Australia. Cattle rancher Thomas Hall used Smithfield Herding Dogs for his cattle during the 19th century in Australia. Smithfield dogs were prominent within colonial Australia because they were similar to Old English Sheepdogs. These dogs were useful in short distances and with domestic cattle. However, Hall needed to transport massive herds over long distances and difficult terrain. Hall needed a better herding dog for his purposes. So, he brought in dogs that were used for herding work in England, which is where his parents were from. These dogs were called ‘Northumberland Blue Merle Drovers Dogs’. Hall bred these imported dogs with some Australian Dingoes that he had tamed. The product of this breeding were known as ‘Hall’s Heelers’. By the year 1840, Hall was content with the product of his breeding. However, he didn’t share the breed with anyone because they offered him an advantage over his competition. When Hall died in 1870, his dogs became available for others to purchase. Fast forward to today and Hall’s breed has developed into two breeds. These dogs are known as the ‘Australian Stumpy Tail Cattle Dog’ and the ‘Australian Cattle Dog’. 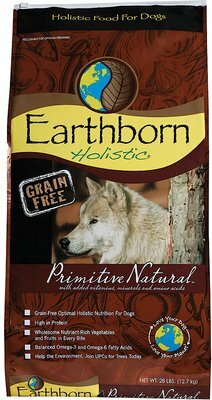 This Earthborn Holistic dog food contains no grain or gluten. It is suggested as a high-protein, alternative diet. The dog food contains antioxidants, cranberries, and blueberries. Additionally, this dog food is made with L-carnitine to help build muscles, balanced Omega-6 and Omega-3, and it’s easily digestible. Earthborn Holistic Primitive is an all life stage food that doesn’t contain ingredients that are commonly problematic for dogs. Some of these common ingredients include Chicken, meat by-products, fillers like wheat, corn, and soy, and artificial flavors or preservatives. 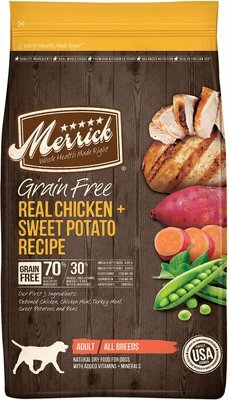 The Merrick Grain Free dog food formula contains a grain-free recipe that has real, deboned chicken, sweet potatoes, peas, apples, blueberries, and many more nutritious ingredients. This dog food is created with vitamins and minerals that will offer an Australian Cattle Dog complete and balanced nutrition. Deboned chicken is the essential ingredient. The chicken creates a flavor that dogs tend to love. Merrick Grain Free dog food supports healthy skin and coat with strong Omega-3 and 6 fatty acids. They’ve recently added glucosamine and chondroitin, which will promote healthy hip and joint function. 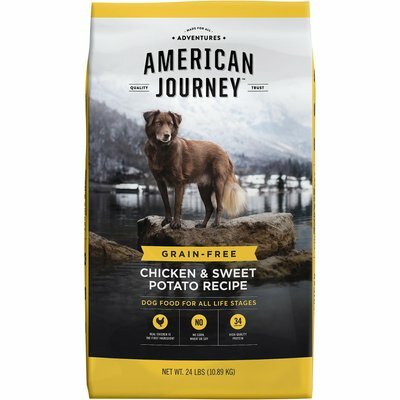 American Journey Chicken and Sweet Potato Recipe is packed with ingredients that will fuel your active pet all day long. This makes it our third (but not least) best dog food for cattle dogs on our list. The formula contains real, deboned chicken with protein and amino acids that your dog needs. Sweet potatoes and chickpeas provide long-lasting energy for dogs. Carrots, dried kelp, and blueberries are added to give beneficial fiber, phytonutrients, and antioxidants. This recipe provides ingredients that are rich in fatty acids. Fatty acids support healthy development of a canine’s brain and eyes. Salmon oil and flaxseed are the main providers of these essential fatty acids. Here are top picks of food that will be ideal for your ACD puppy as he or she grows (and grows!) into a healthy young adult. 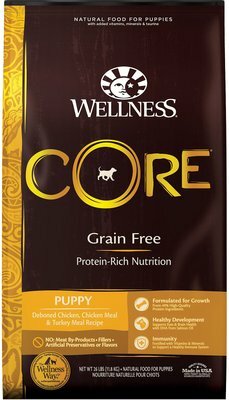 Wellness CORE dog food recipe is made with protein from real chicken and turkey. This protein driven diet is essential for healthy and strong Australian Cattle pup growth. This dog food provides a well-balanced diet for Australian Cattle Dog puppies. Special attention is given to providing an optimal amount of calories, DHA to provide healthy brain and eye development, and antioxidants to create a healthy immune system. This CORE dog food guarantees calcium and phosphorus levels that support healthy bone growth. Probiotics are included to support strong digestive health. Wellness takes pride in keeping out undesirable ingredients including meat by-products, wheat, corn, soy, artificial flavors, colors, and preservatives. CANIDAE grain-free PURE foundations puppy formula boasts a delicious and simple recipe. This recipe is made with just nine key ingredients, which is great for dogs with sensitive stomachs. Also, the simple recipe allows for great taste. So, this is a great dog food for nearly any young dog, including Australian Cattle Dog puppies. 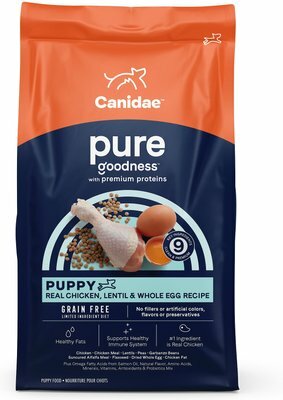 A great taste and providing for puppies with sensitive stomachs is of key importance to CANIDAE. Chicken is always listed as the first ingredient because of the taste that puppies love. This fantastic dog food also includes vitamins, minerals, optimal levels of DHA, and a mix of probiotic ingredients. This blend is made without most of the not-so desirable ingredients that are found in many dog foods. Therefore, there is no synthetic grains, gluten, antibiotics, corn, wheat, or soy in this product. 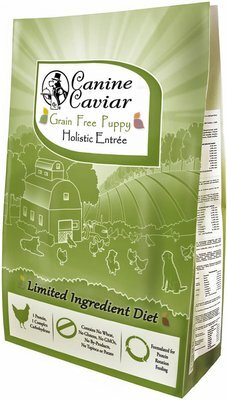 This wonderful puppy food made by Canine Caviar provides a diet with loads of nutrients. This is an excellent choice for small and medium breed puppies. It’s also selected for pregnant or nursing dogs. This is a very natural dog food recipe, one that does not contain meat by-products, chemical preservatives, GMOs, gluten, BHT, BHA, or ethoxyquin. It is also hormone, pesticide, and antibiotic free. Contains papaya and yucca, which support probiotic and prebiotic health. The recipe contains high quality proteins and complex carbohydrates. These ingredients will give your ACD puppy energy and endurance. The recipe is specifically made to help develop muscles, organs, bones, and teeth. It’s also formulated to support the healthy growth of the heart, kidney, and liver. 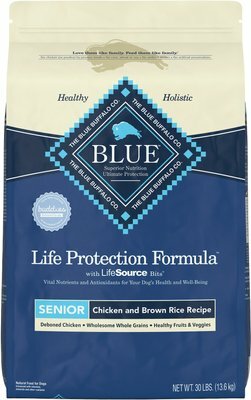 Blue Buffalo Life Protection was made for the health of all dogs and is one of the best dog food for blue heelers you can find. The recipe starts with real meat, whole grains, and natural fruit and vegetables. For additional nutrition, they add a precise mixture of nutrients and antioxidants. Life Protection Formula’s recipe contains increased levels of protein and L-Carnitine. These provide for healthy muscles and carbohydrates for energy that lasts all day long. Glucosamine and chondroitin are added for hip and joint health. A balanced formula of fatty acids is included for healthy skin and coat. The immune system of your senior dog was considered in the making of this food. Vitamins, minerals, and antioxidants provide for a healthy immune system. There is no corn, wheat, soy, or chicken by-products in the Life Protection Formula. All ingredients provided in order to give your older Australian Cattle Dog a long, healthy life. With so many types of dog food on the market today, it’s crucial you understand and get to know what you’re giving your Australian Cattle Dog. 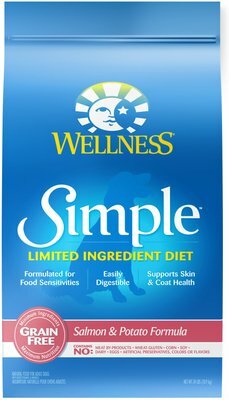 The Wellness Simple Limited Ingredient dog food is made specifically for dogs with sensitive stomachs. It includes a recipe of natural, limited-ingredients. It is a simple recipe with a single source of protein, easy to digest carbohydrates, without fillers or additives. With sensitive dogs in mind, this recipe is made without potatoes. Fiber and probiotics are included to promote digestive health. A fantastic mixture of fatty acids helps promote healthy skin and coat. High quality ingredients are added to the mixture that provide your dog with lots of energy. The healthy ingredients are added to promote whole-body health and longevity. There are some important features that you should look for when considering a dog food choice for your Australian Cattle Dog. You must consider your dog’s age when shopping for a food for your Australian Cattle Dog. Some products are specifically made for a particular age group. These products are specially made for a certain age because of the dietary needs of that age group. For example, seniors and puppies need more protein than adult-aged dogs. However, some products are made specifically because they cater to all age groups. A food like this may be a good choice if you have several dogs. It may also be a good choice if you want to try and keep your dog on the same food as he or she progresses through age groups. Many people would believe organic dog food and natural to mean the same thing when considering a dog food choice. The fact is, the two do have minor differences that you should keep in mind. ‘Natural’ dog food means that the recipe contains ingredients that can be found in nature. Some of these ingredients may include: animal meats, whole grains, fruits, and vegetables. These are usually healthy for your dog. ‘Organic’ dog food is used when no synthetic substances like hormones, pesticides, or fertilizers were used to produce the dog food. These substances and chemicals have been known to cause health issues in dogs even if the ingredients are ‘natural’. ‘Organic’ dog food is usually significantly more expensive than natural dog food. Most Australian Cattle Dog owners are going to consider the price first when shopping for a dog food. Many dog foods are very expensive, and the price can be prohibitive for owners. There are other factors that you should think about when considering the price of your dog food. Is the dog food produced by a massive company or is it a more locally sourced and produced product? If it is organic, is it certified organic? What size is the bag or box of food? Does it contain any expensive products that may be driving up the price? The most important ingredient to consider when thinking about price is usually the protein choice, if there is one. You should always buy dog food that has natural protein products, not protein by-products. The product should also contain healthy amino acids. Whole grains or brown rice are healthier than processed, synthetic ‘filler’ grains. The best dog foods will contain some combination of vegetables and fruit. Vegetables and fruit will add vitamins and minerals to the dog food. Try to avoid dog foods that contain unhealthy additives like salt, sugar, artificial colors, ingredients, and preservatives. These additives are known to cause health issues in dogs. This will depend on the preference of your dog, which is usually independent of the breed. Some dogs prefer wet food while others prefer dry food or kibble. Wet food tends to be healthier than dry food but don’t make that assumption automatically. 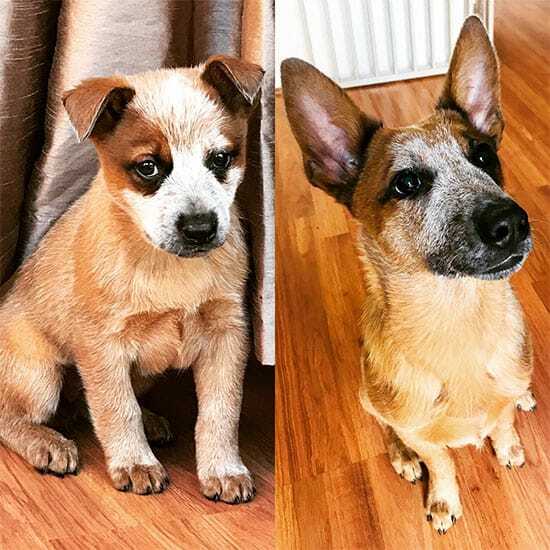 There are alternatives that you can make to suit the unique needs of your Australian Cattle Dog. Water can be added to dry food to make it softer if your dog prefers wet food but dry food is a better option. Conversely, you may add kibble or dry food to wet food in order to add some texture for your dog. 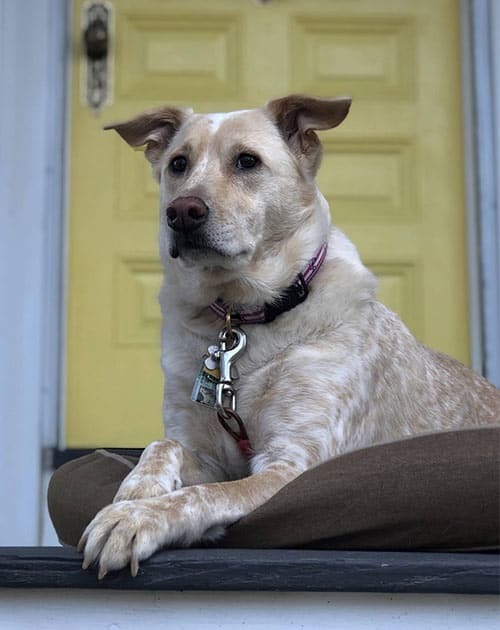 Finally, with so many cattle dog and heeler mixes rescued and adopted these days, it’s important to look at an article such as this. Much of it will apply to a heeler mix as it would a full breed because of the dominant characteristics. When selecting food for your dog, it is vital that you know and understand this breed’s nutritional needs and some specifics about the Australian Cattle Dog diet. Australian Cattle Dogs are an active, hard-working breed of dog. They need lots of energy to keep them going throughout the day. Calorie requirements are based on the specific dog’s age, weight, and lifestyle. Australian Cattle Dogs have an average weight 35 to 50 pounds. So, for example 45 pound adult Royal Australian Cattle Dog should be given about 1200 calories per day. Highly active Australian Cattle Dogs should consume around 2020 calories per day. Australian Cattle Dog puppies should eat roughly 990 calories per day. Every dog is different and there is no one-size-fits-all template regarding how much food your dog should eat. Consult your veterinarian and monitor your dog’s behavior then make adjustments when necessary. It’s important, especially when your Australian Cattle Dog is a puppy that you select a dog food that is rich in protein. Protein-rich dog foods will promote healthy muscles and bones. Similar to most breeds of dogs, Australian Cattle Dogs can be fed three meals per day starting when they are three to four months old. Most owners continue to feed the puppies three meals per day until they reach about one year of age. Once your dog has it’s one-year birthday party, start feeding it two meals per day. Proper feeding is important for health going forward. Plus, you don’t want a fat blue heeler, you want a fit one, right? The two meals per day option is usually the best when choosing a feeding schedule for your dog and maintaining normal Australian Cattle Dog weight levels. Monitor your Australian Cattle Dog’s behavior and eating habits to decide if you need to make adjustments to your dog’s eating schedule. When your Australian Cattle Dog is a puppy or senior, reduce the quantity of their food as opposed to the amount of protein. Puppies and seniors need more protein than adult dogs. Similar to many breeds of dogs, Australian Cattle Dogs are more prone to their own select health issues and conditions. This is true for blue heelers and red heelers. Several of these conditions are hereditary, but they can also appear independently. The risk of several diseases is preventable through effective use of healthy diet and exercise. If you suspect that your Australian Cattle Dog suffers from any of the described conditions, schedule a check-up with your veterinarian immediately. The animal protein should be easily identifiable on the product packaging. It should be a high-quality ingredient, preferably natural or organic. Animal protein can be found in several sources, and your Australian Cattle Dog’s food preference will have an effect. If your dog doesn’t have sensitivity issues, you should try to find a dog food that has two to three different protein sources. This will give your Australian Cattle Dog a variety of healthy amino acids. If your dog has health issues, seek a limited ingredient dog food with a single protein source. Healthy fats are commonly used to give your Australian Cattle Dog Omega-3 and 6 amino fatty acids. These healthy fats are one of the most vital ingredients for the dog food of your choice. Animal meat and healthy fats are probably the most critical in your choice of food for your Australian Cattle Dog. However, grains, vegetables, and fruit are also very important. The grains in the dog food should not be processed or synthetic. Meat by-products should be avoided when selecting a food for your Australian Cattle Dog. Meat by-products aren’t actually animal meat. They are produced from the interior of the animal. Foods with animal by-products are generally cheaper, but the savings in cost isn’t worth the risk for your dog. Preservatives, BHA, and BHT should be avoided. These products are strong, synthetic ingredients that have been known to cause major health concerns in animals. Artificial colors, flavors, and preservatives should also be avoided. And as with any food or treats, stay with a low-sodium diet for your pet. Before owning an Australian Cattle Dog, you’ll want to learn as much as you can about this breed. 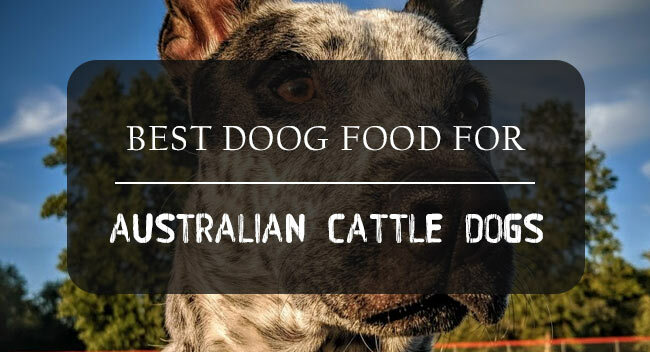 It’s also important to identify the best foods for Australian Cattle Dogs, which we help you analyze in this article. A prospective owner should also be aware of potential problems with the breed. Potential problems include common health issues and ingredients of food that you should always avoid.